This party plan can be tailored to fit any age. Prep: Pick up balloons filled with helium, and tie with long ribbon. Let the balloons fly up to the ceiling of the party room, and let the ribbons hang down. Purchase your choice of ballerina theme party decorations such as a ballet slipper piñata. Get small pink gift bags for party favors. Fill the bags with lip-gloss, plastic rings, and pink candy. Create tutus for the guests. You can find tulle or other martial to make a simple tutu at any fabric store. Cut a strip of fabric, and glue or sew a ribbon on the top to fasten the tutu around the waist. Invitations: ask guests to wear a leotard, tights, ballet slippers, or similar comfortable shoes. 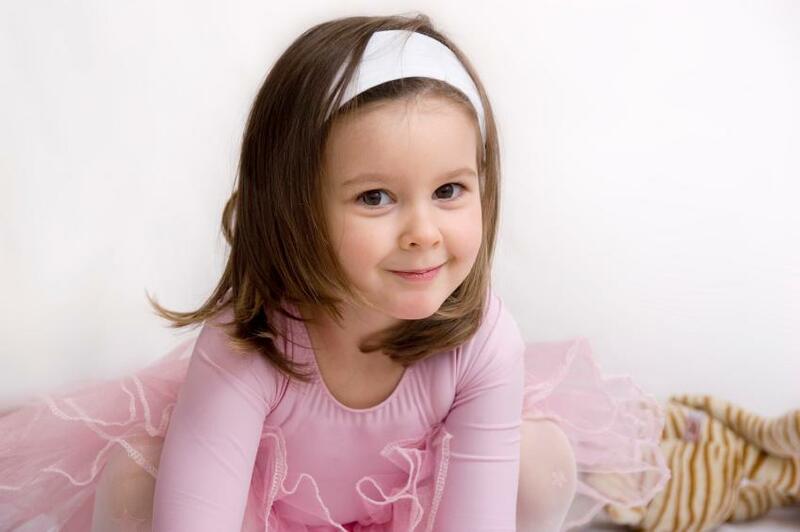 As the guests arrive: give the children a pink tutu to go over their leotard. Party: Have an older student or local instructor give a simple lesson. There are also many ballet tapes for children. You can get one and help guide the children. Have the children take a picture with their instructor. Serve a lunch tea party style. Use small pink plates, napkins, plastic teacups, and pink plastic utensils. Menu: Pink punch, sandwiches cut into a ballet slipper shape with a cookie cutter, berry muffins with jam, and fruit salad. Cake: Have a bakery create a ballet slipper cake with pink frosting. Serve with strawberry and vanilla ice cream. When the guests leave, tie a balloon to their party favor bags! Invitation: create a CD on your computer of some of your child’s favorite songs. Fold paper into the DC case with all the details about the party. Parent can rent Sesame Street costumes and be the main dancers. Cover the walls of the party room in black plastic sheeting (available at any hardware store) and you can even put up strobe lights to get the disco effect. You can paint shapes and designs on the sheeting. Use white paint so it shows up with the strobe lights. As the guests arrive: give the girls feather boas and the boys top hats and gallery bow ties. Menu: Finger foods and juice served in plastic test tube glasses (available at any dollar store). Party favors: A small gift bag filled with musical instrument erasers, pencils, and a small musical instrument (maracas, drum, or a tambourine, etc.). Party: Put on the CD and have a dance party with both parents and children! Prep: Choose bright theme colors, such as bright pink and orange. Prints such as polka dots and zebra strips are also fun to mix in. Use these colors and patterns to create balloon arrangements, and other decorations such as table coverings and plastic dishes, paper plates, napkins, party favors, etc. Record your child’s favorite songs on a CD for use at the party and even as invitations. Use your color scheme to create a DISCO DANCE DIVAS! sign for your living room or wherever the party will be held. Invitations: Mail out the CDs with an invitation in bubble wrap envelopes. These envelopes can be found in fun colors as well! You can use the CD jewel case to insert the invitation details. You can ask the families invited to have their child arrive in their favorite dance clothes,or you can use a dance outfit as a party favor. You can find inexpensive outfits or accessories at the dollar store or a discount store. Another option is to make t-shirts. Hint: Post-Halloween sales are a great time to stock up on costumes and party accessories! Find discounted party supplies: Oriental Trading. You can use a separate room in the house as a dressing room. After changing into their costumes, it is time for hair and makeup. If you have boys at the party, they can choose to have their hair done or play a game while the girls get done up. Use brightly colored make up and glitter powder. Project time: create something for the costume such as a beaded necklace, bracelet, or vest. Party: divide the children up in groups and send them to different rooms to put together their own dance routine! Have a parent in each room to help out. Send a CD player with each group (guests can bring more are needed) and choose a song from the party CD for each group. Give them 30 minutes to come up with a routine. Then, have everyone come back to the main party room and show off their routines. Videotape and then do group pictures. After the performance, the children can watch the dances on TV while they have a pizza dinner. You can set out a large mat or tablecloths on the floor for dinner. Party favors: Use brightly colored gift bags and fill them with dance and party related gifts such as; candy, body glitter, plastic rings, body jewels, lip gloss, etc. Tapes of the performance can be sent out as thank you notes. The memories, video, and CDs can be enjoyed long after the party! Prep: Take felt material and cut it in to a pennant shape. Glue on ribbon and foam sick-ons, which are available in cheerleading shapes. Choose team colors. You can use your local high school team colors or choose your own. Get all your decorations in those colors. Set up a concession stand. Use a plastic tablecloth and write concession stand in permanent marker. Serve pizza and sub sandwiches. Put snacks, like chips, into a megaphone. They can be found at party stores. Invitations: Make pennant shaped invitations out of construction paper. Include time, date, and include that dressing up is optional. Party: Hire a cheerleader from your local high school to teach a couple of cheers! Cake: Make a cake in the shape of a megaphone! The cake can be cut into a shape after they have cooled. Then, after cake, the partygoers can perform their cheers for the adults!